With a resume that has winning all over it, former Wilfrid Laurier Golden Hawks goalie Liz Knox can add 2018 Clarkson Cup champion to the list. 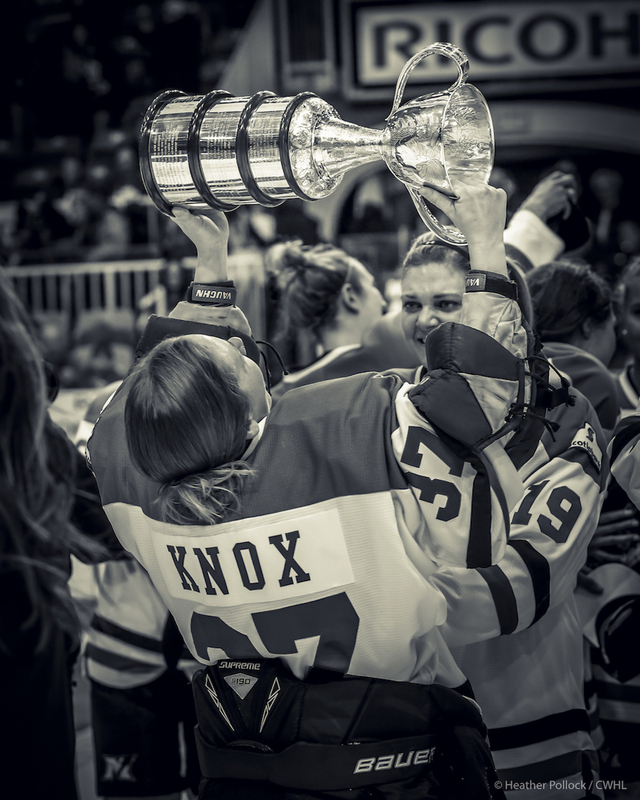 From being a four-time OUA champion, to capturing U SPORTS Women’s Hockey Player of the Year in 2010, to winning gold at the 2011 Winter Universiade for Canada, Knox has a lot to brag about. But instead, the Stouffville, Ont., native talks about her teammates and the lessons she’s learned over the years as a goalie. One of the biggest things I learned was managing your nerves and just trusting in the team that’s ahead of you because as a goalie there’s only so much we can do (and) so much in the game we don’t control. 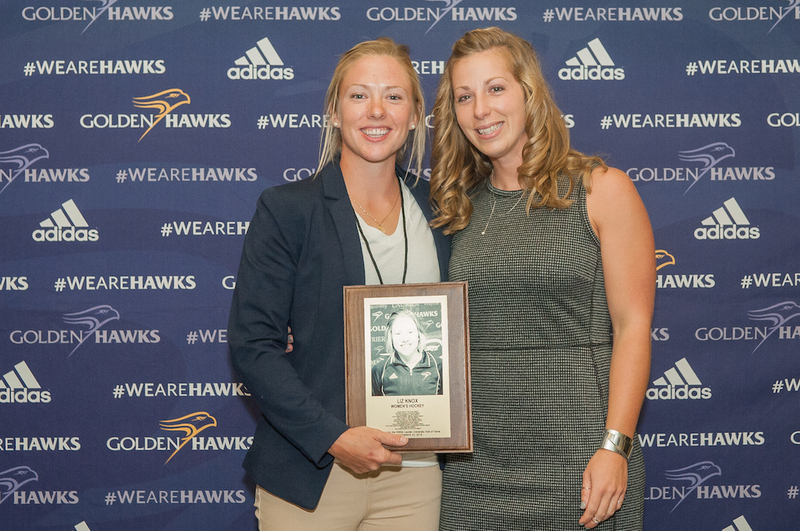 In five seasons with the Golden Hawks, Knox finished her U SPORTS career with a sparkling 90-7-2 record, a mark that would earn her a nod into the Laurier Athletics Hall of Fame in 2016. She is only the second women’s hockey goalie to be given the honour, joining former netminder Cindy Eadie, who was inducted in 2014. Knox actually attended some of her other teammates’ inductions in the past, but she never expected that she would get the call herself to join them in the Hall. The 29-year-old calls it the highest honour of her career. Like many others, Knox fell in love with hockey the moment she held the stick. Learning how to skate as a figure skater, Knox would don the pads for the first time as a seven-year-old in house league and never took them off. At some point when I’m an old lady, I can watch a pro women’s league that they make enough money or get by enough that they can have part-time jobs or even no jobs and just focus on their (hockey) lives. When it is all said and done, Knox can now look back to her career knowing that she won in every league that she played in. From being an OUA champion to the Australian Women’s Hockey League and now the Canadian Women’s Hockey League (CWHL). Her passion of the game motivates her to continue to grow the game to the next generation of girls. After seeing the growth of hockey in Markham, and the constant support of Markham Mayor Frank Scarpitti, Knox hopes that one day, women playing in professional leagues – like the 11 U SPORTS alumni up for selection in Sunday’s CWHL Draft - can focus solely on hockey. “At some point when I’m an old lady, I can watch a pro women’s league that they make enough money or get by enough that they can have part-time jobs or even no jobs and just focus on their (hockey) lives,” says Knox, who was also nominated for the 2010 BLG Award as U SPORTS Female Athlete of the Year. “It does make a difference, not only for individual players, but for the product that goes on the ice. It’s nice to think that success follows me around. I hope it’s a product of making things come together at the right time and know that the work you put in, the process is worth the journey at the end. “I’ve been in the league probably the longest on my team and so to be able to be a part of the conversation about the future of the sport and to have Markham be put on the map for the CWHL, it’s really good for our team and community, who’ve showed us so much support. 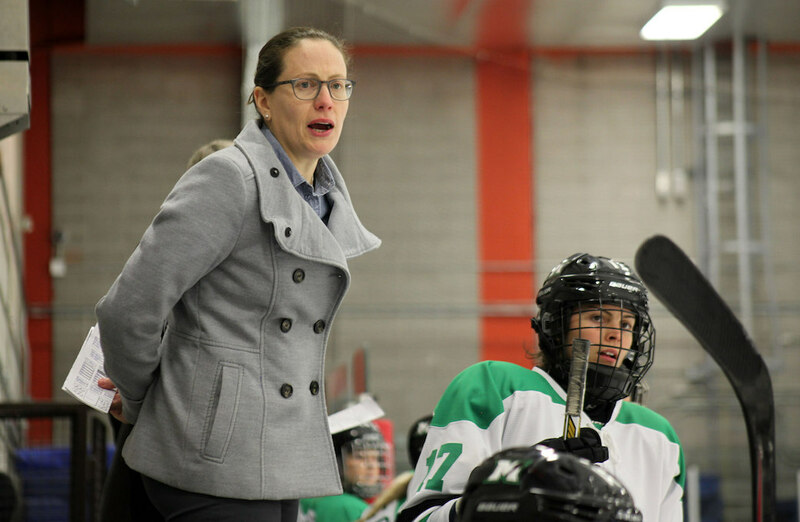 It’s something she hopes to share as she continues to celebrate the Clarkson Cup victory, hoping to bring her winning-streak to the next generation of women’s hockey.